Pankaj Mishra is the author of, most recently, Temptations of the West: How to Be Modern in India, Pakistan, Tibet, and Beyond and a regular contributor to the New York Review of Books. Obama will be given plenty of briefing papers to prepare him for meetings with Chinese leaders. As a sensitive and unusually perceptive writer, who seems to possess a great deal of negative capability, he would, I suspect, enjoy reading more general and literary books about Chinese history and culture. Here is my list. 1. The Gate of Heavenly Peace, Jonathan Spence. An elegant account of the passionate and tormented men and women who made China's modern history, more accessible—for the busy president at least—than Spence's comprehensive but mammoth The Search for Modern China. 2. China Hands, James Lilley. This rather rambling and self-important memoir may seem a curious selection, but Obama ought to read at least one book that covers the history of US-China relations before and during the Cold War and, furthermore, amplifies the kind of American attitudes—personal as well as official—toward China that have no place in the twenty-first century. 3. China’s New Order, Wang Hui. In the wake of the financial collapse, the New Left’s critique of China’s uneven growth resonates more strongly than before, and reading Wang Hui’s book, the President would learn a bit about the crisis at home as well as the problems in China. He may also want t o look into Wang Hui’s forthcoming collection of articles, The End of the Revolution. 4. 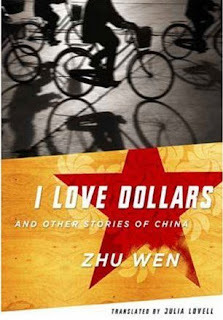 I Love Dollars, Zhu Wen. Notwithstanding the libraries devoted to China in the West today, literary fiction by Chinese writers still offers the most penetrating insight into Chinese society's self- perceptions, and Obama could enjoyably and profitably spend some of the many hours on the flight to Beijing by reading a few stories in this excellent collection. 5. China Beat. The assortment of lucidly written and interesting articles at this website could provide the cyber-savvy Obama with a swift and painless introduction to contemporary China. Warren I. Cohen is Emeritus Professor of History at University of Maryland, Baltimore County, an expert in U.S.-China relations, and author of East Asia at the Center and America’s Failing Empire: U.S. Foreign Relations Since the Cold War. 1. Read Warren I. Cohen's America's Response to China (4th ed.) for an overview of Chinese-American relations from colonial times to 2000 (If he can wait, the fifth edition will go to press next week). 3. Robert Suettinger’s Beyond Tiananmen for a close analysis of U.S. policymaking from 1989 to 2000. Suettinger was on the National Security Council and gives insight into how and why the U.S. did what it did (it will be a few years before Dennis Wilder provides the equivalent for the Bush years). 4. James Mann’s China Fantasy to get past all the nonsense we've been told about the benefits of engagement. 5. Philip Pan’s Out of Mao’s Shadow for an understanding of what life in China is really like today. Bruce Cumings is Department Chair and a Professor in the History Department at the University of Chicago. His book, Korea’s Place in the Sun (1997), remains the foremost textbook on Korean history and he is the co-author, most recently, of Inventing the Axis of Evil, as well as contributing regularly to a variety of publications. If he just read Lin Chun's The Transformation of Chinese Socialism, I would be happy. I think it's the best book on contemporary China in many years, but some American scholars don't like it because her orientation is social democratic rather than liberal. One piece that I did not see listed on the list is Will Hutton's "The Writing on the Wall: China and the West in the 21st Century". 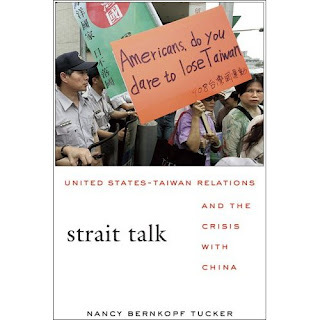 This offers a critical look at China, as what can be best described as a "house of cards" that if not handled correctly both internally and externally may come crumbling down. What Obama or any international diplomat, for that matter, must understand is that provocation of the Chinese leadership will only lead to deconstructive outcomes. America and the West need China just as much as China needs the West. The biggest thing that has to be remembered is that the domestic actions taken by the Central Party, although difficult for most in the west to digest and justify, are at times needed to steer the boat through troubled waters. China is not like the west in many fronts; education, diplomacy, business, and culture most of all. These differences call for different actions, actions that some of us in the West may not be comfortable with. But, if in the long run peace is maintained, growth is fostered, and people are more free than in years gone by, then we will know that right course of action was taken. Read the book and so many others to give you a full perspective on this massive giant that is China. Joe, thanks for your rec. Anyone else have others that haven't popped up on these lists?